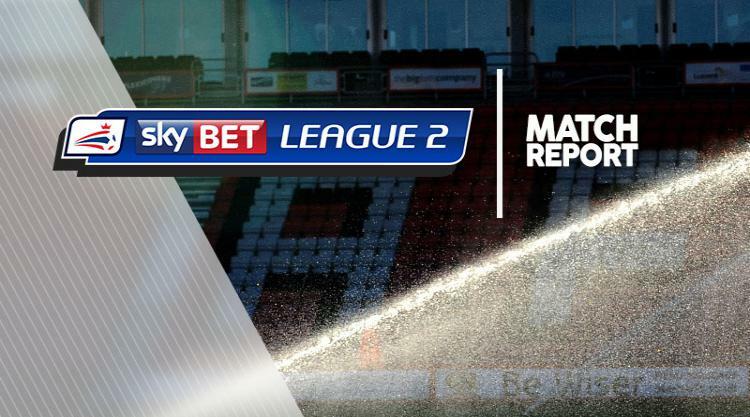 Exeter's incredible rise up the Sky Bet League Two table continued with a well-earned 4-2 win over promotion rivals Wycombe at St James' Park. Exeter made a bright start to the game and got the breakthrough after 19 minutes through the in-form David Wheeler. Lloyd James sent Jack Stacey scampering clear down the right wing and he delivered a fine low cross that Wheeler expertly guided in at the near post for his sixth goal in six successive games. Troy Brown missed a glorious chance to double Exeter's lead when he headed wide from a James corner and it was costly as Wycombe drew level after 38 minutes when Garry Thompson charged in at the back post to ram home Sam Saunders' corner. However, two goals in two second-half minutes won the game for Exeter and they were almost identical. Brown tapped in at the back post from a low Stacey cross after 65 minutes and then Joel Grant was on hand to slot in from Wheeler's cross. Alex Jakubiak pulled one back with a debut goal in the 90th minute, but Ollie Watkins killed off any faint hopes of a Wycombe comeback when he rounded Jamal Blackman to fire in Exeter's fourth goal deep into stoppage time.